If you you’ve spent any amount of time building and creating websites you are used to having to wait for 24 hours for your new site to go live. But, with everything happening digitally, why does it take so long for your site become active? Shouldn’t the Internet be faster by now? The answer is most domain hosts are still using slow DNS servers. This means it takes longer for your domain information to register. Your domain name and site IP address have to be registered through DNS servers before anyone in the world can access your site. Did you know that Darwin can get your site live in just five minutes? DNS has been around as long as the Internet itself. Machines understand numbers. Websites are actually each assigned a unique number known as an IP address. When the right number is given to a computer it knows where on the Internet to find the files to show you on your browser when you are looking for a website. But, most of us cannot remember long strings of numbers. Why remember 74.125.224.72 when you can just remember Google.com instead? DNS stands for domain name system. It translates handles like Google.com that are easy for humans to remember into the long strings of IP addresses that are easy for machines to use to sort and organize the files we need to make the Internet usable. When you create a new website you buy a domain name or “handle” that you are authorized to use for your website. But, before your site can go live the IP address where your files physically reside have to be registered and associated with your domain name in the DNS servers. Virtually every other hosting company in the world requires you to wait for a full day before the DNS registration can be resolved. But, what if there was a fast way? 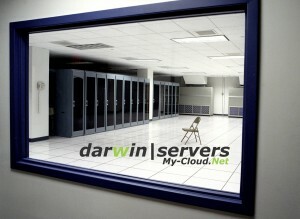 Darwin has some of the fastest DNS servers in the world. Instead of waiting for 24 hours with almost any other provider in the world, Darwin customers see their sites go live in as little as five minutes! Lightning fast DNS servers are just another example of how Darwin is truly the world leader in web servers and online hosting. Five minutes may seem to be good to true, but Darwin has been exciting customers with its fast download and upload speeds for years. Improving the wait time by securing industry leading DNS speed was the next logical step. If you are interested in doing things the old, long, and slow way, you can have plenty of hosting companies to choose from. But, if you want a leading edge web hosting company that is an industry leader in speed and reliability, you only have one option, Darwin. The only real question is, what will you do with your extra 23 hours and 55 minutes? Come and see what Darwin can do for you today. Sign in our Newsletter. We send only 1 Email per month. We don't Spam. We don't sell your your data.